That’s because two years ago, OSF HealthCare underwent a major transformation. Instead of 15+ marketing and communication teams spread across the system, we now have one large team that serves the entire Ministry. A lot of great things can come from big change. For one, a social media team was created (and I was hired!). But change also brings a lot of challenges – or as our team likes to call them, opportunities. The opportunity for the social media team to really focus on our social media presence, set standards and build an engaged fan base. The opportunity for the entire MarComm department to work collaboratively in a way they never had before. And most importantly, the opportunity to really evaluate the way we did things and what we could do better. To start from scratch. It wasn’t always easy. And we still have our hiccups. But at OSF HealthCare, we’ve developed a digital-first strategy that allows us to run integrated marketing campaigns – blending traditional and digital solutions to drive patient volume and generate leads like we had never done before. 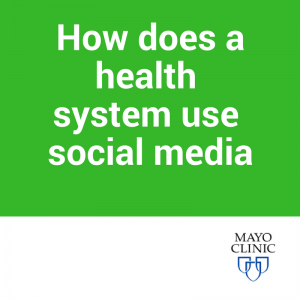 Join me at the Mayo Clinic Social Media Network Annual Conference, where I will break down the steps OSF HealthCare takes whenever we launch an integrated campaign, how we got there and the mistakes we made along the way. 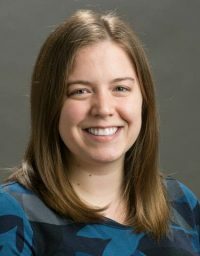 Social media CAN be used to boost patient referrals. How can a health care system best use social media, anyway? Social media shakeups: A lot of great things can come from big change. Health Care Social Media can help set healthcare standards and build an engaged patient base. Health Care Social Media gives agencies the opportunity to evaluate the way they do things and what they can do better.